Growing up, Nicoleta Palmer’s traditional Romanian mother told her not to mess with her eyebrows. Later, when she grew up and began doing facials, she kept focusing on a client’s eyebrows, even when the client hadn’t asked her to do them. Nicoleta Palmer has opened Brow Philosphy on Via de la Paz. 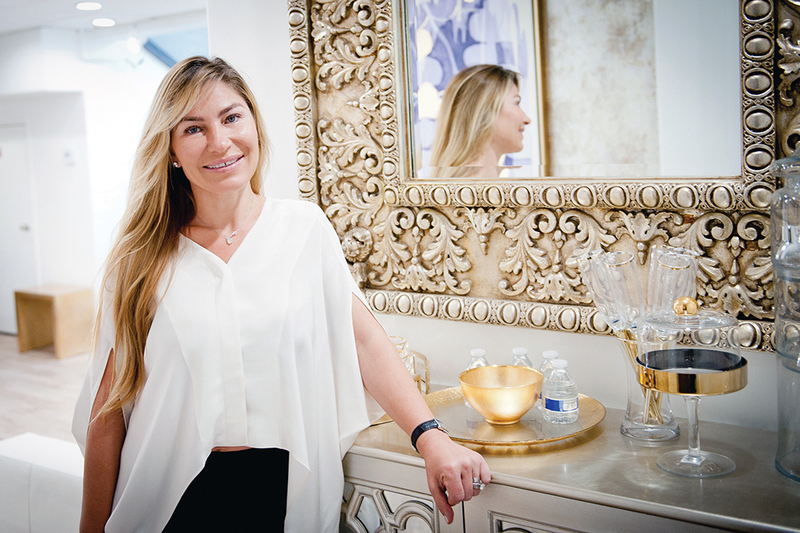 Since May, she and her sister, Mirela Ionescu, have had their own Palisades salon, Brow Philosophy, at 860 Via de la Paz. The sisters offer varied eyebrow services, including microblading, which helps people expand their eyebrows in a procedure that lasts for two years. Palmer’s husband, David, also provides haircuts and styling, and he specializes in color correction. Nicoleta Palmer, who immigrated to the United States in 1997, first had a salon in Boca Raton, Florida, with her sister and also worked in the film industry. In 2006, she was hired to be Kyra Sedgwick’s makeup artist on The Closer, and both sisters moved to the Los Angeles area, where Nicoleta eventually met her husband. In late May, they opened their 650 sq. ft. Palisades salon after years of freelance work as well as time as employees at another salon near their homes in Beverly Hills. Palmer has always loved the Palisades since she happened on it while pregnant with her daughter, now 4. “It seemed to me like a little village, and that’s how I grew up,” Palmer said. Brow Philosophy is open 9 a.m. to 6 pm from Tuesday through Saturday. Call (424) 330-0945 for an appointment.